The cheque is bounced due to insufficiency of funds or all the above reasons. A Legal notice is given within 30 days. A payment of due amount is not made within 15 days time. the payment was to be made for discharge of legally enforceable debt. If the cheques were taken only as security for prompt repayment and those cheque were not indischarge of any debt or liability. The date on which cheques were taken there was no debt or liability Accused cannot be prosecuted under NI 138. In the case of Joseph Vilangadan (Supra) the facts were that the Directors had given certain cheques as refundable security deposits to ensure due performance of their work. In the given facts and circumstances it was held that there did not exist any debt or liability and the cheques were given solely for the purpose of security and hence no action under section 138 of the Act was maintainable. The very scheme of procedure adopted shows that the cheques are not issued in respect of any current existing ascertained liability. The words “for discharge of any debt or other liability” inSection 138 of N.I. Act should be interpreted to mean current existing or past ascertained liabilities. The cheque issued in respect of future liabilities not in existence as on the date of cheque would not attract prosecution Under Section 138 of N.I. Act. So even if security cheque is bounced the prosecution can be initiated and only defence is that there was no legally enforceable debt. As held in Sanjay Mishra vs Ms.Kanishka Kapoor The learned Judge held that the applicant has failed to establish that the cheque was issued by the 1st respondent in discharge of legal liability of the loan amount. The learned Judge observed that the 1st respondent has denied her signatures on the bill of exchange as well as the cheque subject matter of the complaint. The learned Judge has taken into account various circumstances borne out by the evidence on record and has passed order of acquittal. The learned Judge also considered the admission of the applicant that the amount advanced was an unaccounted amount which was not disclosed to the Income Tax Authority. Cheque was lost and reporting of loss as well as stop payment prior to issuance of the cheque. What is the case of the petitioner? According to him he had lost the cheque leaf. When was the cheque leaf lost? Under what circumstance was the cheque leaf lost? What is the conduct of the petitioner when he realised that such cheque leaf was lost? Is there any conduct congruent to lose of such cheque leaf as alleged by the petitioner? Is there any conduct consistent with the theory of loss of cheque leaf? It is crucial and vital that there is not a single piece of acceptable conduct in which the petitioner is shown to have indulged in if as a matter of fact the cheque leaf were lost from his possession. If it were lost, one would have expected the petitioner, himself an employee of a Co-operative Society, to atleast issue a stop payment memo. That was not done. Of course, a convenient Bank Manager did attempt to oblige his customer, the petitioner, by stating in the course of cross examination that oral information was given. It is crucial that even the Manager does not say when that oral information was given and in respect of which cheque. If any such oral information were given, it is extremely unlikely that the cheque would have been dishonoured except on the ground of stop payment. The memo of dishonour does not significantly reveal such a ground for dishonour at all. If the accused disputes the signature on the cheque. It is the banker who is the most reliable evidence to establish that the cheque is bounced due to signature mismatch. The bank manager has to summoned with all the records related to signature of the accused and testify in court that the cheque signatures mismatch. Question I : What is the legality of referral of a criminal compoundable case (such as on u/s 138 of the NI Act) to mediation? It is legal to refer a criminal compoundable case as one under Section 138 of the NI Act to mediation. Question II : Can the Mediation and Conciliation Rules, 2004 formulated in exercise of powers under the CPC, be imported and applied in criminal cases? If not, how to fill the legal vacuum? Is there a need for separate rules framed in this regard (possibly u/s 477 of the CrPC)? The Delhi Mediation and Conciliation Rules, 2004 issued in exercise of the rule making power under Part-10 and Clause (d) of sub-section (ii) of Section 89 as well as all other powers enabling the High Court of Delhi to make such rules, applies to mediation arising out of civil as well as criminal cases. Question III : In cases where the dispute has already been referred to mediation – What is the procedure to be followed thereafter? Is the matter to be disposed of taking the very mediated settlement agreement to be evidence of compounding of the case and dispose of the case, or the same is to be kept pending, awaiting compliance thereof (for example, when the payments are spread over a long period of time, as is usually the case in such settlement agreements)? III (i) When the respondent first enters appearance in a complaint under Section 138 of the NI Act, before proceeding further with the case, the Magistrate may proceed to record admission and denial of documents in accordance with Section 294 of the Cr.P.C., and if satisfied, at any stage before the complaint is taken up for hearing, there exist elements of settlement, the magistrate shall inquire from the parties if they are open to exploring possibility of an amicable resolution of the disputes. III (ii) If the parties are so inclined, they should be informed by the court of the various mechanisms available to them by which they can arrive at such settlement including out of court settlement; referral to Lok Adalat under the Legal Services Authorities Act, 1987; referral to the court annexed mediation centre; as well as conciliation under the Arbitration and Conciliation Act, 1996. III (iii) Once the parties have chosen the appropriate mechanism which they would be willing to use to resolve their disputes, the court should refer the parties to such forum while stipulating the prescribed time period, within which the matter should be negotiated (ideally a period of six weeks) and the next date of hearing when the case should be again placed before the concerned court to enable it to monitor the progress and outcome of such negotiations. III (iv) In the event that the parties seek reference to mediation, the court should list the matter before the concerned mediation centre/mediator on a fixed date directing the presence of the parties/authorized representatives before the mediator on the said date. III (v) If referred to mediation, the courts, as well as the mediators, should encourage parties to resolve their overall disputes, not confined to the case in which the reference is made or the subject matter of the criminal complaint which relates only to dishonouring of a particular cheque. III (vi) The parties should endeavour to interact/discuss their individual resolutions/proposals with each other as well and facilitate as many interactions necessary for efficient resolution within the period granted by the court. The parties shall be directed to appear before the mediator in a time bound manner keeping in view the time period fixed by the magistrate. III (vii) In the event that all parties seek extension of time beyond the initial six week period, the magistrate may, after considering the progress of the mediation proceedings, in the interest of justice, grant extension of time to the parties for facilitating the settlement. For the purposes of such extension, the magistrate may call for an interim report from the mediator, however keeping in mind the confidentiality attached to the mediation process. Upon being satisfied that bona fide and sincere efforts for settlement were being made by the parties, the magistrate may fix a reasonable time period for the parties to appear before the mediator appointing a next date of hearing for a report on the progress in the mediation. Such time period would depend on the facts and circumstances and is best left to the discretion of the magistrate who would appoint the same keeping in view the best interest of both parties. (f) a stipulation regarding the voluntariness of the settlement and declaration that the executors of the settlement agreement were executing and signing the same without any kind of force, pressure and undue influence. III (ix) The mediator should forward a carefully executed settlement agreement duly signed by both parties along with his report to the court on the date fixed, when the parties or their authorized representatives would appear before the court. Proceedings before the court III (x) The magistrate would adopt a procedure akin to that followed by the civil court under Order XXIII of the C.P.C. III (xi) The magistrate should record a statement on oath of the parties affirming the terms of the settlement; that it was entered into voluntarily, of the free will of the parties, after fully understanding the contents and implications thereof, affirming the contents of the agreement placed before the court; confirming their signatures thereon. A clear undertaking to abide by the terms of the settlement should also be recorded as a matter of abundant caution. III (xii) A statement to the above effect may be obtained on affidavit. However, the magistrate must record a statement of the parties proving the affidavit and the settlement agreement on court record. III (xiii) The magistrate should independently apply his judicial mind and satisfy himself that the settlement agreement is genuine, equitable, lawful, not opposed to public policy, voluntary and that there is no legal impediment in accepting the same. 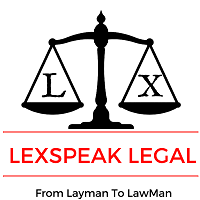 III (xiv) Pursuant to recording of the statement of the parties, the magistrate should specifically accept the statement of the parties as well as their undertakings and hold them bound by the terms of the settlement terms entered into by and between them. This order should clearly stipulate that in the event of default by either party, the amount agreed to be paid in the settlement agreement will be recoverable in terms of Section 431 read with Section 421 of the Cr.P.C. III (xv) Upon receiving a request from the complainant, that on account of the compromise vide the settlement agreement, it is withdrawing himself from prosecution, the matter has to be compounded. Such prayer of the complainant has to be accepted in keeping with the scheme of Section 147 of the NI Act. (Ref. :(2005) CriLJ 431, Rameshbhai Somabhai Patel v. Dineshbhai Achalanand Rathi) At this point, the trial court should discharge/acquit the accused person, depending on the stage of the case. This procedure should be followed even where the settlement terms require implementation of the terms and payment over a period of time. III (xvi) In the event that after various rounds of mediation, the parties conclude that the matter cannot be amicably resolved or settled, information to this effect should be placed before the magistrate who should proceed in that complaint on merits, as per the procedure prescribed by law. III (xvii) The magistrate should ensure strict compliance with the guidelines and principles laid down by the Supreme Court in the pronouncement reported at (2010) 5 SCC 663, Damodar S. Prabhu v. Sayed Babalal H and so far as the settlement at the later stage is concerned in (2014) 10 SCC 690 Madhya Pradesh State Legal Services Authority v. Prateek Jain. III (xvii) We may also refer to a criminal case wherein there is an underlying civil dispute. While the parties may not be either permitted in law to compound the criminal case or may not be willing tocompound the criminal case, they may be willing to explore the possibility of a negotiated settlement of their civil disputes. There is no legal prohibition to the parties seeking mediation so far as the underlying civil dispute is concerned. In case a settlement is reached, the principles laid down by us would apply to settlement of such underlying civil disputes as well. In case reference in a criminal case is restricted to only an underlying civil dispute and a settlement is reached in mediation, the referring court could require the mediator to place such settlement in the civil litigation between the parties which would proceed in the matter in accordance with prescribed procedure. Question IV : If the settlement in Mediation is not complied with – is the court required to proceed with the case for a trial on merits, or hold such a settlement agreement to be executable as a decree? IV (i) In the event of default or non-compliance or breach of the settlement agreement by the accused person, the magistrate would pass an order under Section 431 read with Section 421 of the Cr.P.C. to recover the amount agreed to be paid by the accused in the same manner as a fine would be recovered. IV (ii) Additionally, for breach of the undertaking given to the magistrate/court, the court would take appropriate action permissible in law to enforce compliance with the undertaking as well as the orders of the court based thereon, including proceeding under Section 2(b) of the Contempt of Courts Act, 1971 for violation thereof. Question V : If the Mediated Settlement Agreement, by itself, is taken to be tantamount to a decree, then, how the same is to be executed? Is the complainant to be relegated to file an application for execution in a civil court? And if yes, what should be the appropriate orders with respect to the criminal complaint case at hand. What would be the effect of such a mediated settlement vis-à- vis the complaint case? V (i) The settlement reached in mediation arising out of a criminal case does not tantamount to a decree by a civil court and cannot be executed in a civil court. However, a settlement in mediation arising out of referral in a civil case by a civil court, can result in a decree upon compliance with the procedure under Order XXIII of the C.P.C. This can never be so in a mediation settlement arising out of a criminal case. « How to get Mutual Consent Divorce?